While the trio of the redesigned light-duty trucks marked the 2019 model year the focus changes to the heavy-duty models with the closing of the 2020 model year. General Motors will introduce the new generation of its heavy-towing range and Ram will also follow with the all-new 2500 and 3500 models. But that won’t stay unanswered by the leading truck brand as the heavy-duty models with the Blue Oval Badge were spotted several times and in different configurations, while testing before the debut early next year. Ford redesigned the Super Duty Series for the 2017 model year and the refreshed half-ton F-150 arrived as the 2018 version. Now Ford is working on the mid-update of the Super Duty models based on the latest reports and spy photos. 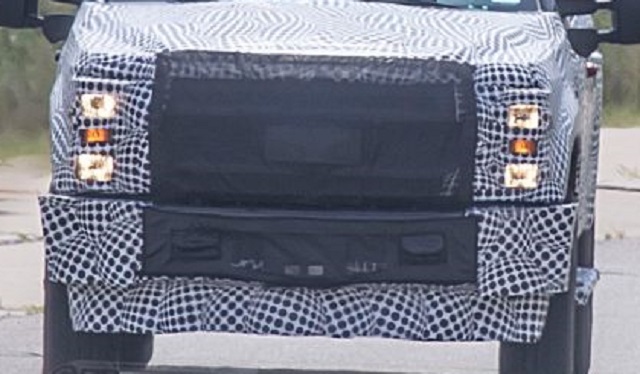 Ford is, of course, quiet about the details and the testing models wearing tick camo covering all sections of the model. Based on the latest reports, the 2020 Ford F-250 and other heavy-duty versions will bring styling and equipment upgrades. The powertrain range is also expected to get upgraded with the possibility of the inclusion of the new engine version for the fleet buyers. The new 10-speed automatic transmission should also appear as the part of the mid-update. Ford hasn’t, of course, disclosed the details about the powertrain upgrades yet and clearer picture we will have closer to the debut early next year. Based on the latest reports, the 2020 Ford F-250 version and more capable variants are expected to return with the familiar 6.2-liter and 6.7-liter V-8 engines but both in the upgraded form. The 6.2-liter V-8 gasoline engine provides 385 hp and torque of 430 lb-ft. Some reports suggest the big power and torque upgrade for this engine with the estimation that new ratings could close to 400 hp and 500 lb-ft of torque. The 6.7-liter Turbodiesel V-8 should also improve its horsepower and torque numbers. This engine can produce 450 hp and up to 935 lb-ft of torque in the combination with the heavy-duty, six-speed automatic transmission. The new version of the engine in the refreshed F-250 should improve the torque capability with around additional 15 lb-ft. The sources also claim that Ford could replace the thirsty 6.8-liter V-10 engine for the fleet configurations with the 7.0-liter V-8 engine. The power of the new V-8 should be around 475 hp and torque around 510 lb-ft according to the reports. Ford has also another card for the refreshed Super Duty models. The new F-250 and more capable models should also gain the new 10-speed automatic transmission which should also improve the performance of the model. The new 10-gear auto gearbox is the product of the partnership with GM and has the application in the F-150, Lincoln Navigator, Chevy Suburban, etc. When the redesigned F-250 arrived for the 2017 model year, Ford applied the similar styling and structural upgrades as the previously redesigned light-duty F-150. The new 2020 Ford F-250 should also follow the similar route as the recently refreshed F-150. However, bellow the camo on the grille section of the prototype version we can spot the new grille version without the two-bar style. This grille version will likely appear in higher-spec versions and Ford will also redefine the style of the headlights. The side panels will return in the same form while the tailgate should appear with the modernized design and in the combination with the refreshed taillights. No details and spy photos of the interior and upgrades inside the cabin and equipment. The big changes regarding the layout and design won’t happen but Ford will surely offer fresh material options and updated tech features. The heavy-duty Ford will come with the latest Sync infotainment system and the array of the advanced safety systems probably more accessible than in the current version. The big trucks will again provide high luxury options and different exterior and interior updates for the more expensive versions. The 2020 Ford F-250 will reveal more details closer to the launch date in late 2019. The debut of the model should be early next year. With the expected upgrades, the price of the model should go slightly up. The base work-oriented F-250 starts now from $33, 150. 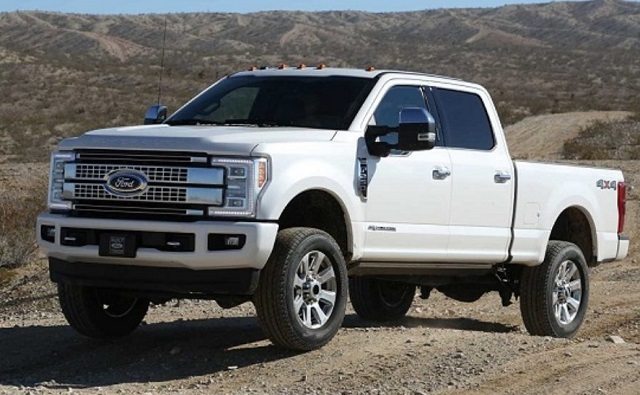 Will the new 2020 F250 (Large Gas Engine) come with 4 Door and 8′ bed?